A few weeks ago I got an M1 Carbine made by IBM, and it has an IBM barrel. Unfortunately I can't afford any of their Browning Automatic Rifles due to federal laws written by communist assholes. 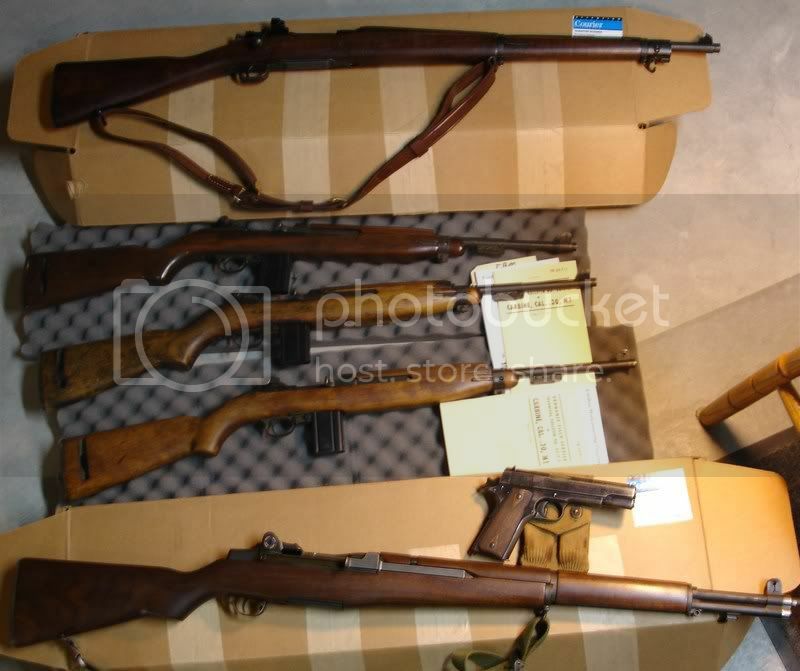 3 Carbines, 2 Garands, 1 Colt. Nice. Gonna be ready in case Nazism Rises again? The one on top is a M1903A3 and the 1911 is a Colt, but yes, I do have another Garand that I built from parts not in the picture. If the Nazis invade I have some more modern selections ready for them. You should play some DODS . Kill some Germans or Americans. I have an IBM notebook. Keg do you run the NRA?